To many of my clients I recommend they read James Redfield’s The Celestine Prophecy, a book written back in the mid nineties. Even though this book is written in basic novel format and as such seems unappealing to those who prefer books of the non-fiction variety, I still recommend they read the novel version first. Forget the storyline and focus on the nine “insights” which are revealed in the book. Should you wish to read further, then Redfield’s “Celestine Vision” in his non-fiction work on the subject. In actual fact there are now 13 “insights” and no doubt there will be more as human consciousness grows …. but let’s start with the initial nine insights. 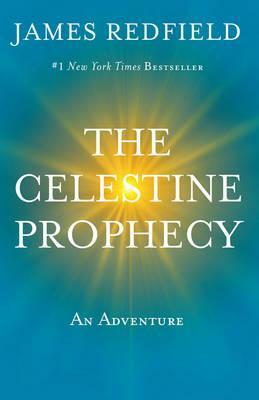 Why do I think The Celestine Prophecy is so important to understand? Because it fits in with the astrology of coming to know yourself and your particular behavioural patterns and also it gives a greater understanding of what Pellowah energy healing has to offer. Below I have listed eight of the insights, with a brief mention of the ninth. I have not listed insights 10-13. Why? Well … the short answer is “dragons”. Just as when the map makers of old placed dragons in the unknown or uncharted territories, I personally believe that we all have our own personal place “beyond which there are dragons”. With time and maturity this place of dragons will change for all of us, but I believe you personally must move at your own pace with this. The journey is yours to make, not someone else’s. In 1996 I am afraid my dragons began at Insight #2 … now I am comfortable with insight #8 and am presently struggling with insight #9. One day I may get to insight #13 … but not yet. This is not a race. 1. Synchronicity – look for meaningful coincidences around you – chance meetings, information arriving at the right moment. Be prepared to stop and engage in conversation with someone who comes up to you. See where it leads. It may go nowhere but then again by following such leads who knows where you might end up. That book that keeps falling off the shelf, or which comes up in conversation several times in a week. Maybe you should read it. I have employed Insight #1 in my travels long before Redfield wrote his book. 2. History – make yourself aware of our history and how we relate to our world. History is the larger context of our individual lives. An accurate understanding of history gives our awareness of the world depth and substance. As Redfield says “the story of our modern largely western way of looking at the world begins at least 500 years ago with the collapse of the medieval world view”. Prior to that time people had prescribed to the geocentric world view according to Aristotle’s physics. The earth for some 1500 years had been at the centre of the cosmos. Copernicus changed all this in 1543 when he published his work proving that the sun was actually at the centre of the cosmos. This was not easy for people to accept and for a very many years people felt somewhat adrift and disconnected as a result. It is felt that the various philosophies in the 16th century dealt in part with this feeling of “disconnectness” by actually making man the centre of all things. Of course there is much more of interest in the 16th century, which is why it has become my area of research, but the main thing to notice was that this was the period which marked a great shift in our thinking. There was now but a small step to the materialism which dogs us today. So, by making yourself aware of events of the last 500 years, by reading about Copernicus, Kepler and Galileo, will help you understand where we are at right now. Insight #2 is something that has come naturally to me through my studies over many years. 3. Energy fields – universal energy, chi and the human energy field. All living entities give off energy and by training your eye you can see this field around trees, rocks and vegetation. Some may call this the aura. Feel the beauty of what you are seeing. Stop to smell the roses. This is insight #3. 4. Stealing energy by controlling others. Most of us do this and most of us are unaware of what we are doing. If we feel depleted of energy our first recourse is to try to get energy from elsewhere. The easiest option is to gain that energy from others by making them feel bad, by playing out certain control dramas, like intimidation, aloofness, playing the martyr or the victim, to name but a few. I repeat that most of us are not aware of these behaviours, we just know that being topped up with energy feels good and that one way to get it is robbing it from other people. This is Insight #4. THIS IS ONE AREA WHERE COMING TO KNOW YOURSELF THROUGH ASTROLOGY CAN HELP YOU. 5. The Universe can provide our energy and we must consciously fill up with this energy as this then brings in more coincidences. THIS IS WHERE PELLOWAH WORKS SO WELL, ESPECIALLY THE WORKSHOPS. Pellowah tops you up with energy so that you no longer need to obtain it from others. Pellowah is NOT the only way this can be achieved … but it is one way that most definitely helps. Once you have your energy needs met you are then able to freely give your energy to others rather than have others take it away from you. This is what leads to more empowerment in your life. This is Insight #5. 6. Control drama – when we fall back to this bad habit we disconnect from the energy of the universe. We see these control dramas in others but not in ourselves. This is projection. This is the illusion. The idea is to see through the illusion. This in Insight #6. PELLOWAH IS ALSO SO IMPORTANT IN HELPING US DEAL WITH THE ILLUSION. 7. Be guided by dreams/day dreams. Halt fear images. Replace these with good images. “Ask and ye shall receive”. Every significant event contains a message. Once you are able to see through the illusion you will gain greater clarity and objectivity which will enable you to avail yourself of the meaningful coincidences or synchronicities in life. Life then begins to unfold with a sense of ease and grace. This is Insight #7. 8. Addiction to another person stops growth. The most healthy way is to form connections to others rather than attachment. Attachment only leads to control and control robs people of their energy. We must complete the circle and become whole … we must own our projections. This is most important to realise with our children who are a precious gift given to us for safe keeping. Children belong to the universe, not to us. We are but their stewards. Our children have their own unique journey in life which should have nothing to do with our projections. This is Insight #8. I can say that I have great faith and belief in these insights and I live my life by them. My studies in philosophy, my travels around the world, the raising of my own two children have all given me a good understanding of these eight insights and I have no hesitation in recommending them to you as a way of creating a life that does actually unfold before you with ease and grace. BUT … it is at this point that my dragons rear their beastly heads. 9. Vibrating at a higher frequency. I am currently working on this Insight #9 and know that Pellowah helps achieve this. I am just not sure if I am in a position to accept or understand the implications of this. **** I FINALLY UNDERSTAND #9. 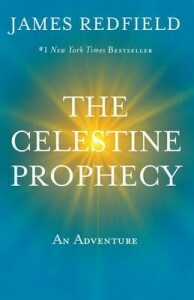 I Have Included This in my Article “The Celestine Prophecy Revisited” which I will shortly put on my site. Insights # 10 to 13 go even further, but I will leave this for you to read and ponder. No doubt one day I will make it here, but at the moment I am content with where I am at right now. So, with all metaphysical and esoteric teachings, please don’t compare yourself to others. This is my main message to you. One useful thing to keep in mind is that YOU are your only reference point. There is YOU and there is the UNIVERSE. Nothing else. You are who you are. You are where you are. You progress is your progress. I consider my job in all this is to show you the gate. Whether you open it or not is entirely up to you.